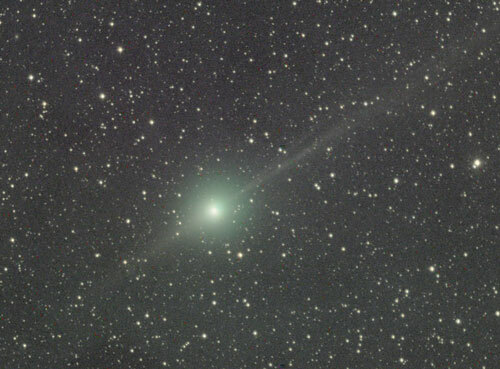 Comet Lulin has brightened but its tail and anti-tail are quite dim. 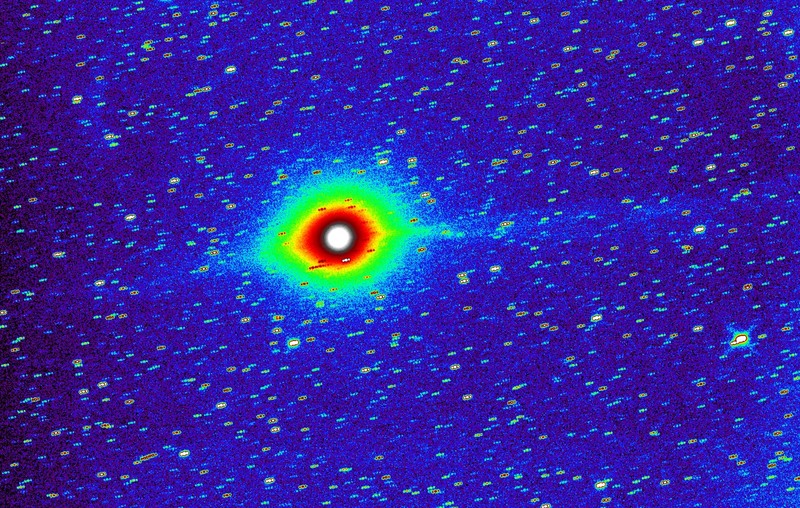 Here's a false color image that shows the tails slightly better than a monochrome image. 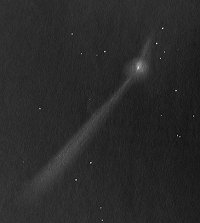 Here's a sketch I made of C/2007 N3 Lulin before dawn this morning using a 8.5" F/7 reflector with 32mm 2" SWA eyepiece. My immediate impression was that the comet was very bright. It struck me just how healthy and active the coma looked even at a casual glance. 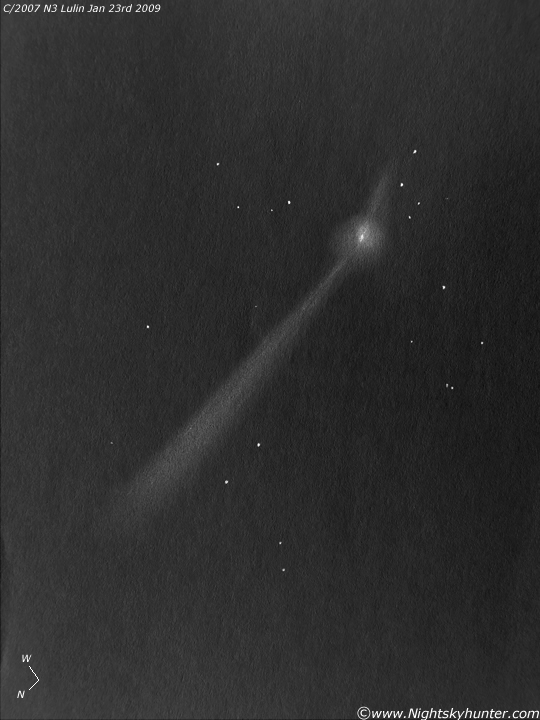 The coma was at least 7' in dia with a very intense white-coloured and disk-shaped central condensation with star-like false nucleus at centre. The outer coma was an obvious green colour. On several occasions I seen at least one jet within the coma pointing to the S. The anti-tail was very faint and elusive and required good dark adaption and averted vision. I had to move the scope in various directions to pick out the faint details so I'm not 100% certain about what I saw. I found the colourless anti-tail to be at least 20' long but I suspected it to be much longer. 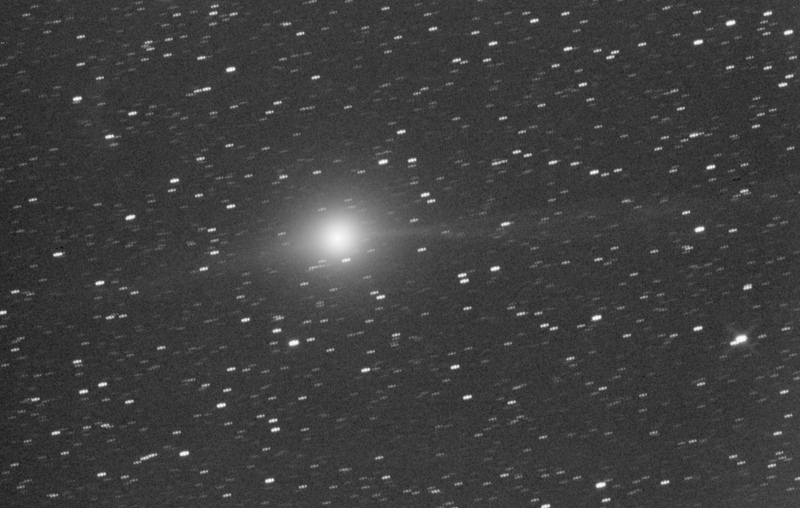 The gas/ion tail was much brighter and pointed in a generally S direction. To me this tail was green and sported a smooth profile and seemed to broaden with distance away from the coma much like a search beam. I could easily see the tail for a minimum of 1 degree but again I'm sure it's much longer that this. Seeing both tails at the same time was quite a treat! Despite the very poor quality of my binoculars I was still able to find the comet easily. I also tried very carefully to detect it with the naked eye but I just couldn't convince myself that it was visible. However, I suspect that with excellent sky conditions the first naked eye observations will be reported very soon. As for a magnitude estimate, I didn't really make one because I was trying to ferret out the details within the tail but based on the ease of which I could see the coma in the scope I would say approx mag +6.5, give or take a mag or so on either side. 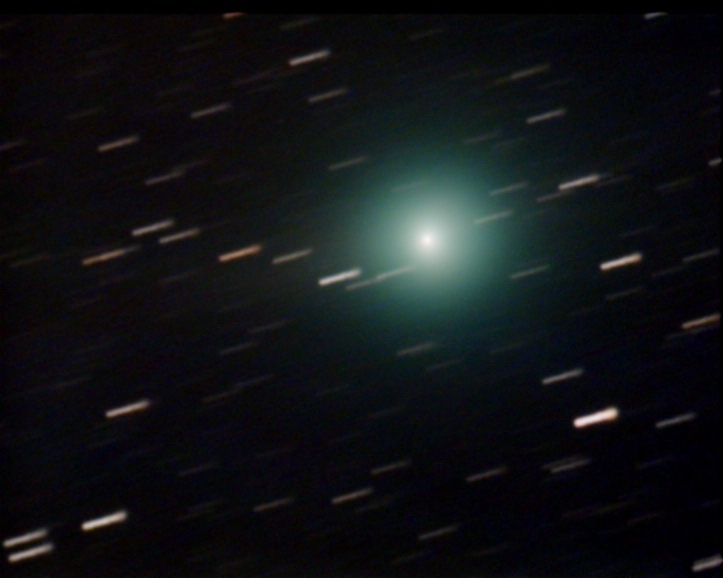 I think this comet could very well put on a good show in Feb! ©2009 Spaceweather.com. All rights reserved.